Today's update to Telegram apps introduces a new kind of private communication. You can now "unsend" any message you sent or received in any private chat, anytime. You can also control when your messages link back to your account if forwarded. For good measure, we've also added an option to hide your profile picture from non-contacts. Android users can now use emoji search to quickly find the yellow beasts they were looking for — and will get emoji suggestions for the first word they type in a message. Both platforms also support improved sticker search — you can now find individual stickers based on the keywords for the relevant emoji. All the important parts of our iOS app can now be accessed with VoiceOver and the Android app fully supports TalkBack. A major update: Telegram for Android 5.0, Telegram for iOS 5.1, and Telegram Desktop 1.5 have arrived. You can now use the Translation Platform to create your own custom languages, spread them via links and apply changes in real time. Each language also gets a public discussion group. Instant View 2.0 lets you view web pages instantly with improved support for more types of content: right-to-left languages, blocks of related articles, image links, tables, nested lists, horizontal scrolling, collapsible text blocks and much more. Telegram for Android received a major redesign in version 5.0. Profile pages offer quick access to shared media. Shared content sections were improved with high quality previews, increased loading speed, and more info under Links and Files. The Settings and Notification and Sounds settings screens were updated for a more streamlined experience. Telegram Desktop reached version 1.5. In addition to custom languages, it now offers interface scaling for large screens, new badge counter settings, support for new emoji and long media captions (up to 1000 characters). Like other Telegram apps, the desktop client now supports 2X mode for voice and video messages. Telegram for macOS recently received support for video streaming, swipe navigation (including swipe to reply), and improved search for messages. If you see any other website that claims to publish news or announcements on behalf of our team, it is most likely a scam. We've just launched Instant View for 2,274 more websites following the end our first contest. You can now search for messages from a specific group member and add emoji to your messages by typing ':' + keyword. Get Telegram 4.2.1 for iOS and 4.2.2 for Android these two new features. Supergroups can now have up to 10,000 members! We've added members search to supergroups to help you find people in these newly massive haystacks. Admins also get new tools for managing the increasing group populations: creators can appoint admins with granular rights (add members, remove members, add new admins, etc.). We've also added partial restrictions for members (read-only, no stickers etc.) and temporary bans. The new event log (admin-only) will help you see all service actions taken by members and admins of a channel or supergroup in the last 48 hours – with search and filters. On top of this, we've added improved sharing to our iOS app, Android pay support to our Android app and many smaller quality-of-life improvements throughout. If you lost your stickers for a few minutes, don't worry! They're all back now. For dessert, we've made Instant Views into a platform. And now we're launching a $200,000 crowdsourcing competition. Join us in our quest to make the entire internet available in the Instant View format. Also, don't forget to check out the new settings: different styles and fonts and an auto-night mode for Instant View pages. Telegram 4.0 is here — and it's not just one, but THREE major updates all at once! For starters, check out the new ultra-slick video messages and meet Telescope, our new video service where anyone can view video messages from public channels — even if they don't have a Telegram account. Introducing autoplaying videos, smart auto-download settings and support for multiple accounts. 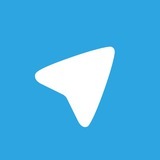 Telegram for iOS and Android have just reached v5.2. Group admins can set default permissions to restrict all members from posting specific kinds of content. Telegram groups can now have up to 200,000 members. When you delete a chat or clear chat history, you'll get a detailed confirmation dialog and an option to restore the chat within the next 5 seconds. We've also added new streamlined group settings, new contact sorting options, better thumbnails, improved animations, stylish new search bars on iOS, an improved dark mode on Android – and more. Bonus track. An embeddable HTML-widget is now available for all messages in public groups and channels. You can see it when you open links to such messages in your browser – try this with t.me/telegram/81. Telegram 4.3 is out! We've added reply and mention badges so that it's easier to keep up with conversations in busy groups. Also in this update: A new panel for quick access to your favorite stickers, a new interface to invite your friends to Telegram (get there via Contacts), group stickers, and numerous other design and UI improvements. Disappearing content is now available for all private chats on Telegram. With version 4.2 of our mobile apps, you can set a self-destruct timer for any photos and videos you share in private chats. We've also completely redesigned the photo editor, added an option to add a bio to your profile, and laid the groundwork for increasing download speeds for popular media in massive channels. The Bot Payment Platform now supports payments from more than 200 countries via 4 payment providers. We will be adding more payment providers soon. Follow @BotNews if you'd like to stay up to date on the latest bot news. Terrorists are after your fear – and the media are glad to help them. Don't give in! You can't stop newspapers from spreading the terrorists' message far and wide, but at least you can report public terrorist content on Telegram (in the unlikely event you ever see it). Payments are coming to Telegram bots. Soon you'll be able to order pizza, pay for a pair of shoes, hire a cab, or refill your subway pass — all in a few button taps on Telegram. Meanwhile, check out @ShopBot and @TelegramDonate for a taste of tomorrow (both need Telegram 4.0 to work). Telegram 3.18 for Android and iOS just hit the stores, and with it, we are beginning to roll out Voice Calls: secure, crystal-clear, and constantly improved by machine learning. Telegram calls will first become available to users from Western Europe, but the rest of the world will get them very soon as well (no extra update required). Get ready to roar!